British weekly magazine, the Economist, takes a jibe at President Muhammadu Buhari’s administration, while commending Acting President Osinbajo’s action in his few weeks in office. 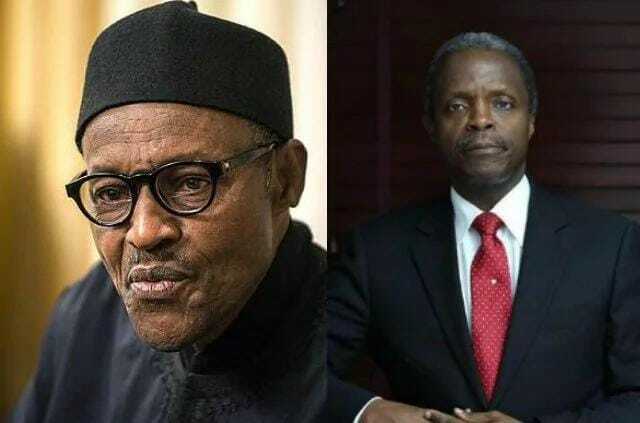 As President Muhammadu Buhari continues his medical vacation in the United Kingdom, there has been several reactions to how Acting President Osinbajo is handling the economy and if the Acting President might be able to get the country out of recession. The Economist, an English-language weekly magazine-format newspaper owned by the Economist Group and edited in London, thinks President Buhari is better off on medical vacation as the country economy has seen positive changes since Osinbajo took over power. “Two years ago, Nigeria’s economy was revalued and it was found to be the biggest economy on the continent.2016 became Nigeria’s first year of economic recession in 25 years. “Buhari previously ruled the country in the 80’s, he was a military leader, and at that time, he also faced a falling oil price and the economic shock. Unfortunately, he is making the same mistakes today as he did then. “Mr Buhari’s main economic policies is to try to peg Nigeria’s currency to the US dollar, trying to do this means Naira’s export is too expensive and so it can’t compete in the global market. “What’s more interesting is that President Buhari is not even in the country during this economic crisis and in the mean time, his vice president, Yemi osinbajo is acting as the Nigeria’s president. “The vice president, Osinbajo has a much more progressive stance in the economy and has made it easier to do business in the country. “As long as Buhari is till getting medical business and as long as his vice is doing competently running the country, everyone seems to be happy. Perhaps the best thing for the country right now, is for Mr Buhari to take a long convalescing before return. The Economist also said Buhari who got inaugurated soon after the collapse in global oil prices. But instead of accepting reality (exports and government revenues are dominated by the black stuff), he reverted to policies he implemented when last in power in the 1980s, namely propping up the currency. This has led to shortages of foreign exchange, squeezing imports. The central bank released the Naira from its peg of 197-199 to the dollar in June 2016, but panicked when it collapsed, pinning it again at around 305. Meanwhile, Acting President Yemi Osinbajo on Thursday, March 2, in Abuja canvassed robust international collaboration for the return of Nigeria’s stolen assets abroad. Osinbajo made the plea while opening a two-day National Dialogue on Corruption, organised by the Office of the Vice President and the Presidential Advisory Committee Against Corruption (PACAC).